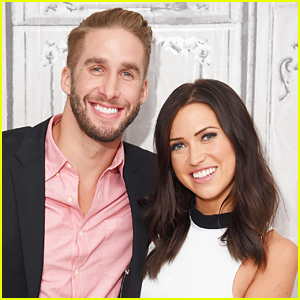 Kaitlyn Bristowe and Shawn Booth announced their split earlier this month after three years of being engaged after her season of The Bachelorette. Now, Kaitlyn is speaking for the first time about her split in a new episode of her podcast, Off the Vine With Kaitlyn Bristowe. “It’s been a really hard few months now. I really did think we’d get through it,” she said. “I want to reiterate to people, what you saw on social media was real and what we had was real love. But when it comes to roadblocks, and those fundamental values and getting through thing together, I just don’t think we were on the same page—and it’s painful to admit that. 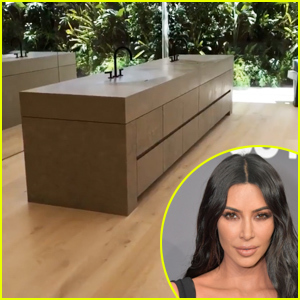 But you need that foundation and you need that partnership if it’s going to last forever,” she added. Kaitlyn Bristowe is opening up about her relationship with Shawn Booth in a new episode of her podcast. If you don’t know, the Bachelorette couple announced their split just last week. “We met and had our first date, but I was also dating multiple men. So does that count as our anniversary? Or does our anniversary count as the time we got engaged?” Kaitlyn said about having a confusing anniversary date. “He actually forgot our anniversary last year,” she continued during her talk with Wells Adams. “He was like, ‘To be fair, you had just dumped a guy five minutes before deciding, I guess, I’ll pick this guy.’ Okay, you forgot our anniversary. At the end of the day, you’re being a d— right now. Just own that,” she added. The episode of the podcast was recorded before Shawn and Kaitlyn announced their split. Kaitlyn Bristowe and Shawn Booth are no longer together. The Bachelorette couple, who got engaged during the finale of Season 19 in 2015, confirmed the news in a statement to People on Friday (November 2). “After three incredible years, we have decided to go our separate ways. This difficult decision comes after thoughtful, respectful consideration. Even though we are parting as a couple, we’re very much committed to remaining friends and we will continue to support each other. Due to the nature of how we met, our relationship has always been very public, and we have enjoyed sharing it with all of you, but we ask that you respect our decision and our privacy at this time,” the couple said in their statement. The two faced speculation of a split in recent months after fans noticed the two were spending substantial time apart. Fans of Bachelor Nation’s Kaitlyn Bristowe and Shawn Booth were concerned that they may have split up and ended their engagement. Kaitlyn has been posting cryptic messages, and hasn’t posted a photo with Shawn since July 23, so fans became concerned. “So here’s the truth. I’m in Canada because every single year I have made a promise to myself and my family that I will come up every August and enjoy downtime with the people that I love in a country that I love. Family is so important to me. Relationships in general are very important to me. I put relationships first,” she explained. “Shawn did not come up with me because the guy just bought a gym. He bought a business. He has started something huge. He is the most dedicated person I’ve ever met. He’s gonna have to be there for months … We are both so busy and unfortunately that means we’re spending all of this time apart,” Kaitlyn said on her Off the Vine podcast. Shawn and Kaitlyn‘s love story was followed on the 2015 season of The Bachelorette, which ended with them getting engaged. Miley Cyrus Celebrates the Fourth of July With Friends & Family in Nashville! Miley Cyrus had such a fun time partying in the USA! The 25-year-old pop superstar celebrated the Fourth of July on Wednesday (July 4) alongside her sister Brandi Cyrus in Nashville, Tenn.
Miley and Brandi were joined by The Bachelorette couple Kaitlyn Bristowe and Shawn Booth, as well as Wells Adams. “Party in the USA today…you know I will!” Miley wrote on her Instagram Story. She wore a red, white and blue outfit for the patriotic day, and even changed into a red, white and blue bikini and rode on a bald eagle float in a pool! See fun snaps from her celebration below. 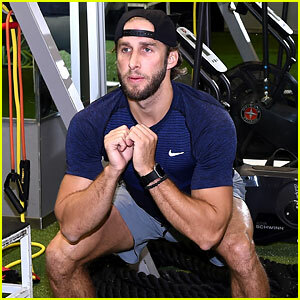 Shawn Booth does a squat while getting in a workout with NYC’s first responders on Wednesday (August 10) at New York Sports Club in New York City. The 29-year-old reality star, who got engaged to Katilyn Bristowe on the 2015 season of The Bachelorette, was at the event to support First Responders Appreciation Month. Shawn has a connection to first responders as his mom is a fire department secretary and two of his best friends from growing up are police officers. After the workout, Shawn revealed to reporters at the event that he didn’t watch the latest season of the reality show starring JoJo Fletcher.